A St. Louis-based coal company has struck a deal with bondholders of most of its $600-million debt. Foresight Energy's agreement follows months of negotiations after it was partially acquired last year by Ohio-based Murray Energy Corporation. Here's what you should know about Foresight Energy as it strives to avoid following St. Louis-based Peabody Energy and Arch Coal, which have filed for bankruptcy protection. Principal Owner Chris Cline started as a West Virginia coal miner in his early 20s. He launched the Cline Group in 1990, with a focus on coal in the Appalachian region. Higher costs and lower reserves prompted a shift to the Illinois basin and the formation of Foresight Energy in 2006. The company went public in 2014. Foresight has mining operations in Illinois and a transportation terminal on the Ohio River in southern Indiana. It became a unit of Ohio-based Murray Energy in 2015 in a roughly $1.5-billion deal, but has maintained the St. Louis headquarters. That agreement has prompted the company's current debt crunch. Bondholders say the sale of controlling interest triggered a clause allowing them to buy back the bonds. A judge sided with them late last year and a deadline for reaching an agreement has been extended at least three times. The inability to reach a timely debt agreement was one of the key reasons for this year's bankruptcy filing by Arch Coal. A heavy debt load is also a factor for bankrupt Peabody Energy. As the coal industry continues to face headwinds caused by lower natural gas prices and less demand, many supporters are also focusing on the pressures of proposed federal regulations. Murray Energy Chief Executive Officer Robert Murray has been an outspoken critic of the suggested rules and has filed lawsuits against President Barack Obama's administration. With the debt issue and other high-profile industry-related problems, Foresight Energy has also been forced to indefinitely close one of its mines. It has been trying to put out an underground fire, or "combustion event" since March 2015. The decision to shut it down prompted the layoff of about 100 workers. 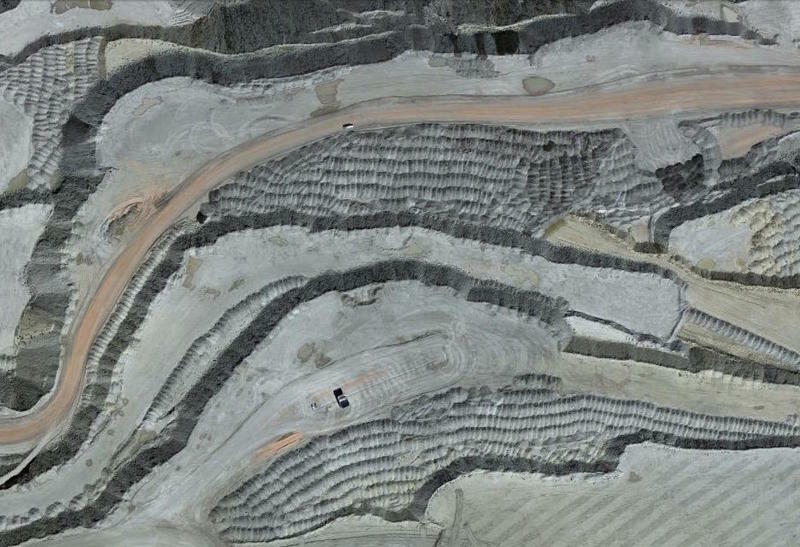 Despite that, the company still has expansion plans for the mine. The Deer Run Mine is part of the Hillsboro Energy mining complex. The MC#1 and Viking mines are part of Sugar Camp Energy’s mining complex. The Mach #1, or Williamson Energy’s Pond Creek No 1 Mine, is operated by Mach Mining LLC. The Sitran Terminal on the Ohio River was commissioned in 2012. 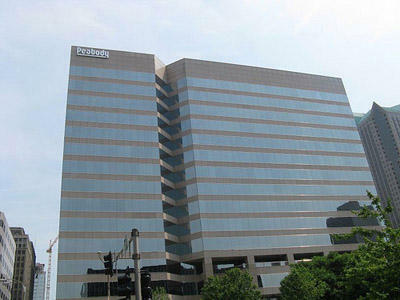 The company's headquarters moved to St. Louis in 2011. Foresight Energy had been based in Florida. At the time of the move, the company planned to start with six workers at the HQ and anticipated eventually employing around 45. Peabody Energy says all mines and offices will continue to operate even though the St.Louis-based company has filed for bankruptcy. Chief Executive Officer Glenn Kellow says the move allows Peabody to seek an in-court solution to its debt problems. The country's two largest coal mines are each laying off roughly 15 percent of their employees. Peabody Energy and Arch Coal both announced the layoffs Thursday morning. The cuts will affect roughly 235 workers at Peabody’s North Antelope Rochelle mine and 230 at Arch's Black Thunder mine.